At this moment, it is 5 hours and 15 minutes before midnight. 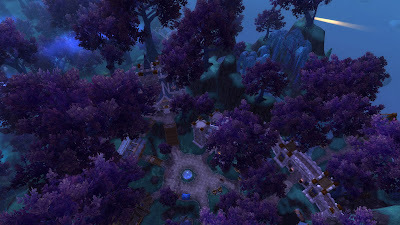 At midnight, Dalaran will teleport from Karazhan to the Broken Isles, starting the new Expansion. There seems to be a lot riding on this, let's not be it a failure like Warlords of Draenor was, most people think. To be honest, that seems the general feeling at the end of almost every expansion, but even I have some problems with Warlords of Draenor. But there where some positive points too. Warlords of Draenor...Warlords? I only remember one fight with a warlord that took some time, Blackhand. He was an endboss, he was difficult, and he gave that 'we did it'-feeling. I know there were some more warlords running around, but they where dealt with in dungeons, or early in raids, not even as wing-end-bosses. The idea of course was nice, but after two years walking around on old Draenor, the hype is gone. I still think we should have had a third raid-tier. Two is not enough, not for a two-year patch. But this is because Blizzard aparrantly decided to stop working on Draenor, and start working on Legion. But let's not dwell on the Warlords, we had our garrison.... /facepalm. Well... at least I now have enough gold to last me till patch 10. The garrison was a nice idea, but way to much was put into it. Everyone had enough reagents for everything, gear was being carried in by your followers, and the gold..all the gold. And don't let me start about the shipyard, which was basically the same, but now with more ships. I did like the levelling though. The stories where good, there were nice intermissions, and the flow was good. Even on my 15th alt, I wasn't really bored with the quests. Kudos for that. And there where some nice bosses along the way, although my price for best Boss this expansion goes to the trains. Not that Orc that was walking there, I do mean the Trains. 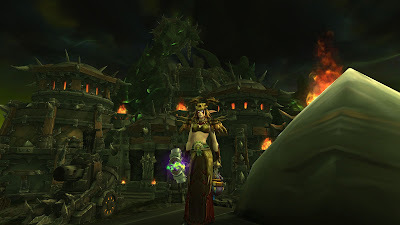 But the biggest thing that will always be in your memory of any expansion, is the amount of time you spend in the last Raid... which again was way to long. And I am also not looking back fondly at the whole Hellfire Citadel. In contrast to Siege of Orgrimmar, Innovation didn't do any Mythics in HFC, There are a lot of reasons for that. we didn't had enough raiders to field a 20-man team is one. There was a high turnover this last year, and in my opinion, that is mostly due to four different raid tiers. We did normal, we did heroic, a lot of us did LFR. Even I felt burnout at the end. I do not really have a solution, so I am not going to linger on it to long. But, in the end, this was again a two-year expansion, with one raid-tier short, and a lot of cool dreams that could have happened, but where never there. Bring us the Legion, let us sacrifice our heroes.